Whether employees, partners, customers or project stakeholders, Procorem’s project portal keeps everyone on the same page. At Procorem, we understand that the evolution of business means more remote team members, various external partners, and customers all over the world. Procorem is designed as a project portal to support business collaboration between your team and all your external partners. Whether coordinating employees, project participants, vendors, investors or customers, Procorem is designed for you. With Procorem, you can create a secure project portal for sharing critical business documents, managing tasks, tracking communications and accessing critical information – anywhere, anytime. The Procorem project portal is your single point of access for critical project information. Whether you are looking for tasks, documents, email chains, posts, calendar events or more, everything you need is available in a single application. With Procorem, all your project information is easy to find, access and collaborate on, making your team more productive. All activity is audited and recorded to create a living project history and institutional memory for your business; giving you piece of mind that there is no single point of failure for critical project information. Procorem WorkCenters keep your project information tracked and secure. Information is only visible to those you invite into the WorkCenter. 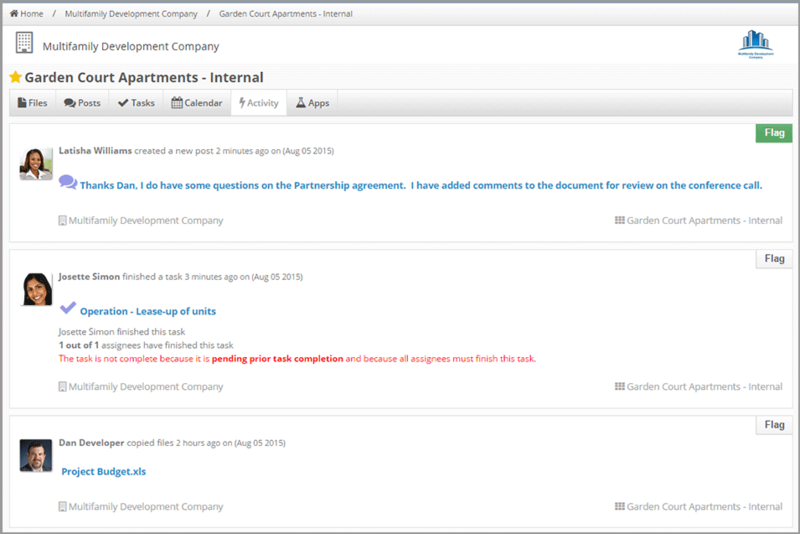 Procorem’s task management allows your team to manage all core project tasks, activities and approval processes in one application. Document decisions, questions, versions and comments are all tracked and recorded to keep a comprehensive record of all document activity. SSAE 16 certification, SSL Security, Penetration testing, and multi-factor authentication protect Procorem for unauthorized access to your data.